We are having a clearance on our Genesis Superfood Capsules! While supplies last, we are offering our capsules with a Best By date of 11/2018 at the clearance price of $11.00 plus tax and shipping. To get yours, go to https://gardensbest.online/ and use coupon code nov18 to receive the discounted price on the capsules! 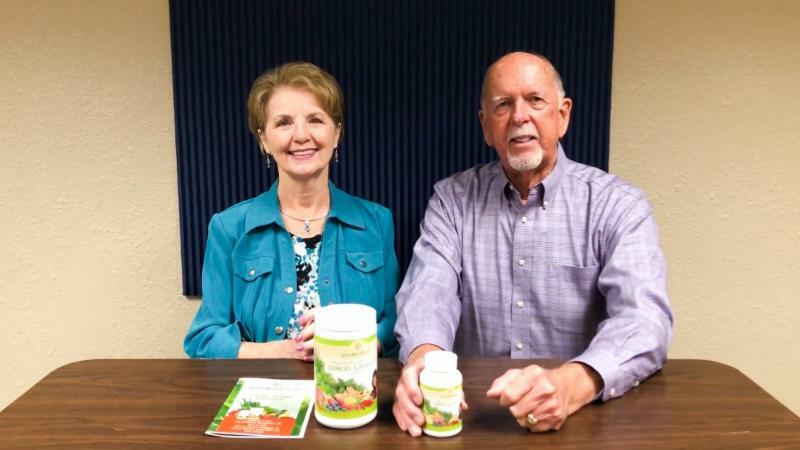 Click on the picture to watch a message from Cal and Michelle Pierce and go to https://gardensbest.online/ to get yours at $11.00 each! Genesis Superfood Formula from the garden is a juice powder like no other on the market. It’s made from perennial plants such as those that would have been found in the Garden of Eden. This formula has never been done before. It’s a super concentration of nutrients that are also fermented. They support the systems of the body for your daily wellness. Due to our ability to concentrate and liberate the nutrients, we’ve been able to offer excellent results with just 1 scoop of juice powder. If you are traveling or if you simply don’t want to consume greens, and there are a lot of people who don’t, Genesis Superfood Formula can help you get many nutrients from foods you would otherwise be missing. Do you have a spouse or child in this category? There’s no fuss. No mess. You just mix a scoop of Garden’s Best Superfood in your favorite smoothie or shake or simply mix in water or juice. You can boost your immune system and your overall health. If you’re longing for health from the garden, take your superfoods and smile!